Since starting my blog back in 2011, one of my post popular posts would definitely be this review of Foxy Locks hair extensions. Its one of the most frequent searches that leads people to my blog and I also get emails by the bucket load from girls asking for my opinion on these ever so popular extensions. 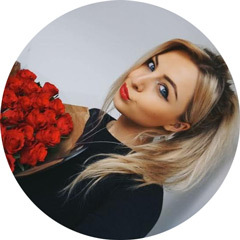 Foxy Locks is the creation of blogger and youtuber Imogen (find her channel here) who creates amazing hair tutorials using these extensions. 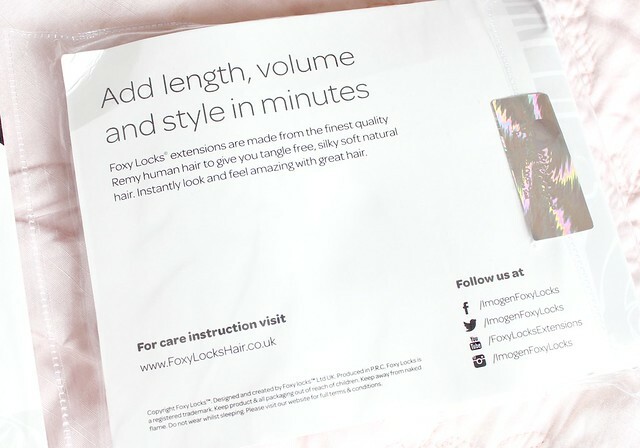 I remember stumbling across Imogen's Youtube videos years ago and watching those, along with reading nothing but rave reviews was what made me purchase my first set of Foxy Locks. I was just so impressed with how thick and full they were in her videos and her tutorials were so helpful - she shares everything there is to know about wearing, washing and styling her extensions. Back then I ordered the 'Regular' set which is the most basic set Imogen offers. However, even though its the set with the least amount of hair, they were still super thick and luxurious - all for a very reasonable price too (£58.00 I believe). Recently Foxy Locks have launched their brand new packaging and their new Superior set of extensions which includes 215g of hair (wow!) and is their thickest and most luxurious set to date. When Imogen contacted me asking if I'd like to try them, I'm not going to lie, I jumped at the chance. I had a bit of a fan girl moment because I've been watching her YT for years and have a bit of girl crush on her (hehe!) so I was amazed she even knew about my blog. I also loved my extensions so much the last time around that I knew I'd love this new thicker set even more. I'm sure you all know how much I love having big hair by now - its a slight obsession! When my extensions arrived in the post - I was very impressed with the new packaging. As you can see from my photos, its very sleek and the hair is tucked away nicely inside some netting. There's also a test piece of hair for you to try before you open the main section of the packet - that way you can make sure the shade is a match to your own hair and if it isn't, you can exchange them for a different shade. Buying extensions online can always be pretty daunting if you don't know which shade you need so this keeps things really convenient and easy! Okay so I'm not going to ramble on about the quality of these extensions too much because if you read my previous in-depth review on them here, you'll know I can't speak highly enough of it. 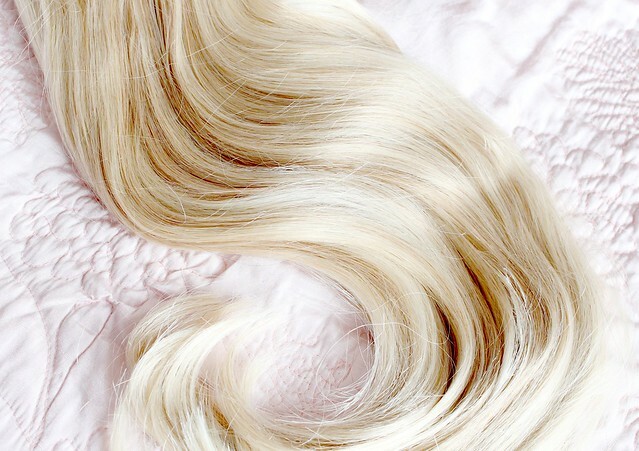 They're made from the best of the best human remy hair and are super sleek, thick and shiny. As I previously mentioned, the new Superior set has 215g of hair which is an absolutely insane amount - that's about 65g more hair than I had when I had professional micro ring extensions! Basically, if you want massive thick hair, you won't get much thicker than this. The reason the hair is so thick but still easy to wear is down to the clever wefts. 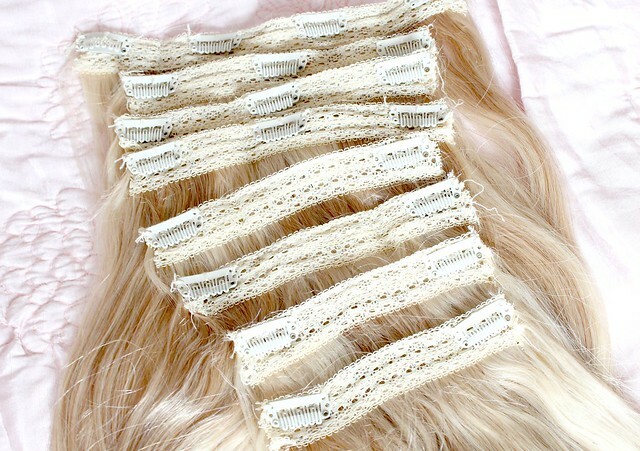 You get 8 pieces of hair in the set which is a pretty standard amount for most full head sets of hair extensions but the difference with this Superior set is that each of the pieces has three wefts sewn together to make it thicker. So essentially you're getting 24 wefts of hair which is pretty incredible. Now if I were to try and clip 24 pieces of hair onto my head, its safe to say I'd struggle. However, because the wefts have been combined to make thicker pieces - I can easily add all of the hair to my head without it feeling weighed down. I was actually very surprised by how leightweight the wefts are and that's a definite bonus of these extensions - it almost feels like you aren't wearing any. Its also great that you get so much hair as you can really mix it up in terms of the look you're going for. For example, on a day to day basis I might only wear a few of the pieces to add a bit of volume but when I'm going on a glam night out, I'll add more to achieve that really big Cherly Cole style hair. I'd also like to point out that the quality of the clips is great too - they're very sturdy and once they're in, they don't move! There's nothing worse than wearing extensions that keep popping out every five minutes. In terms of colour and length, the shade I went for was Sandy Blonde (a lovely light blonde with a more natural shade running through it) which is a great match for my hair and the length of the extensions is 20" which again is perfect for my hair. The only down side to these extensions is that they do only come in the 20" length which isn't ideal for everyone but you can always cut them so that shouldn't be too much of an issue! I'd also say the ends are quite blunt looking so that's something to bare in mind - they may need a little trim to blend them into your own hair. As you can see from the photo above, when straight, they do need a bit of tidying up at the bottoms. However, as I mainly wear them curled, this hasn't been much of an issue for me. Just a couple of things I wanted to point out as although I adore these hair extensions, I want to be totally honest about the slight niggles I have. Finally, the price. The new Superior set definitely isn't cheap at £129.99 but I'd definitely say they're worth it if you love big volumous hair. However, if its just a little bit of volume you're after, the 125g set for £58 or the volumizer piece for £45.99 would probably be more than enough. Overall I bloomin love these hair extensions and definitely think they're some of the best out there in terms of thickness, quality and value for money. If you want to add volume to your hair without paying salon prices - look no further than Foxy Locks! 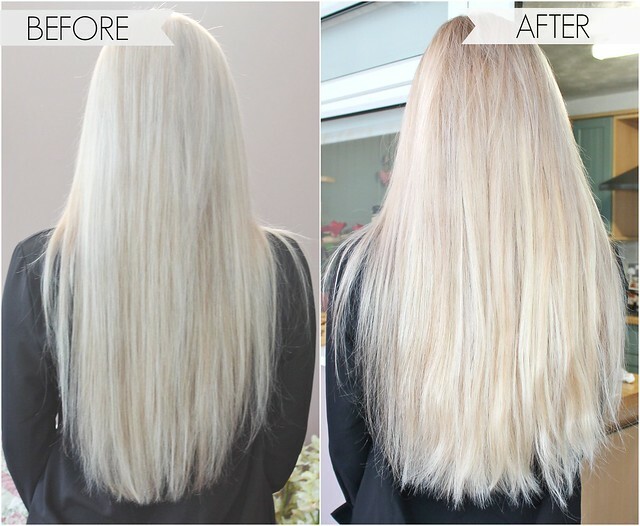 Have you tried Foxy Locks extensions? Would you like to try them? Wow! Hair of dreams!! Hehe! Love how natural it still looks, and oh so thick!! These look fab, I have never heard of these before, I will have to check out the Youtube channel. As always a fantastic review. It is so cute that you don't know how famous you're getting in the blogger world! wauw love it girl ! Omg! Extensive and great review! Do you review or partner with other companies? 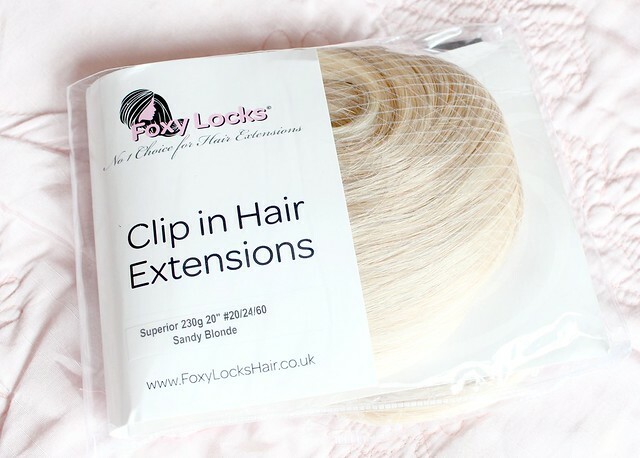 look amazing, i've been wanting to try out some Foxy Locks extensions for ages now! They look amazing on you! I've wanted to try Fox Locks extension for ages now! I would love to try extensions, especially as I have two summer weddings to go to, but I've just had my hair cut up to my shoulders, so not really sure if I'd be able to work them. I'm a brazilian blogger living in Edinburgh, on the bottom of my blog there is a button to translate my blog... hope you like it! No one can’t deny that you hair looks fuller after. *thumbs up* and since those are clip-in hair extensions, you can do a lot with it. You can attach it on various parts different to create layers, even dye it. Amazing! I'm in total awe of how well the clip in hair extensions blended with your natural hair. I love it! They totally gave more life and volume to your hair. You really got a great deal there, Kayleigh! Thanks for sharing that! All the best to you! Thanks for writing up a very informative blog about hair extensions. The photos of the hair extensions and your hair before the extensions were added can be helpful to a person who is just learning about hair extensions, and how it might look on them. Stay gorgeous!